What’s the scoop: After a holiday break, Cicada is taking a page out of the Arrow’s playbook and going on a killing spree — thanks to a handy dandy list. Instead of punishing the wicked who have failed Star City, Cicada stays with his tried and true slaughter of metahumans. Cecile and the team piece together that Cicada is learning the metas’ locations through an internal city government arrest database. This leads to an initial confrontation with Cicada where he breaks Nora’s back, and floods her system with enough dark matter that her speed-healing is temporarily interrupted. Barry goes into his own version of Mama Bear Felicity mode. Meanwhile in B-plot Land: There’s lots to unpack here. Wells’ investigation into Nora and her crazy time language continues, despite a warning from Iris to lay off. 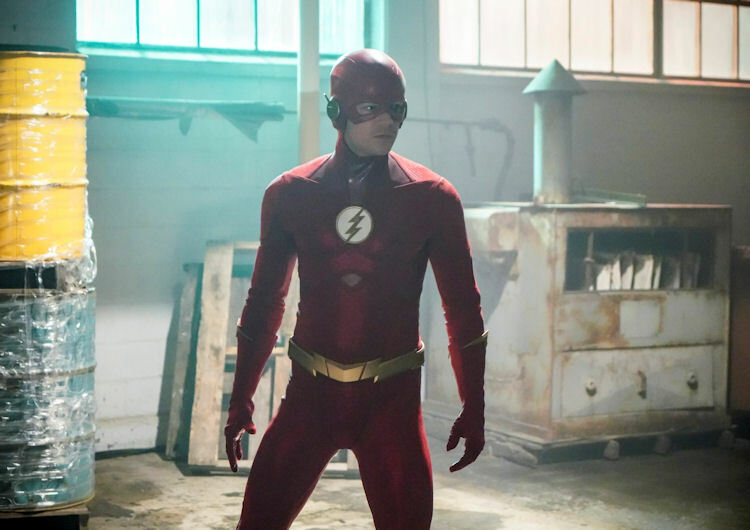 His big discovery is that the writing comes from two different people, which is why the messages have been so difficult to decipher, and leads Wells down the path of trying to discover who her mentor is (we already know it’s future prisoner, Eobard Thawne). 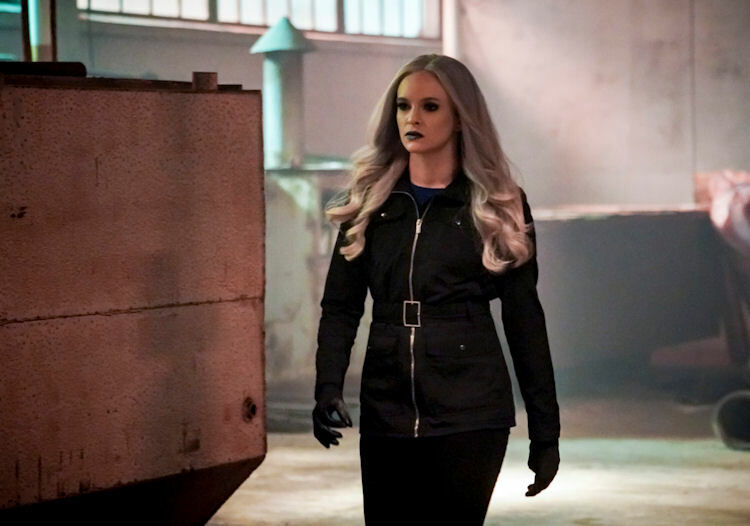 There’s also the matter of Caitlin in a battle of wills with Killer Frost over the meta cure. 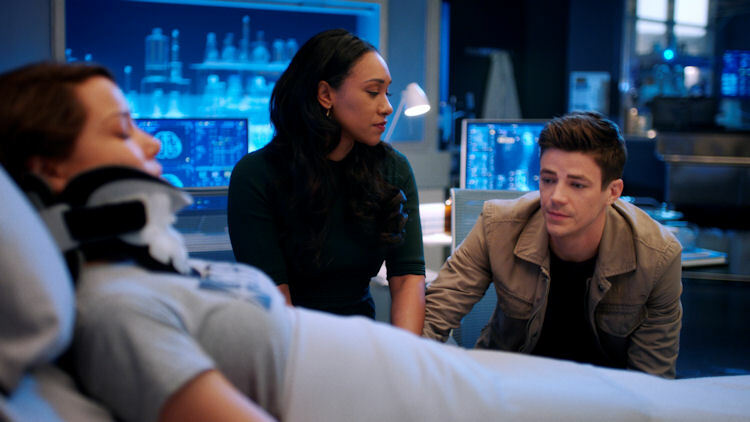 Frost keeps sabotaging Caitlin’s work because she’s afraid that once Caitlin finds a cure, she’ll want it to get rid of Frost. Ralph, of all people, becomes the voice of reason. What about the action: There was some tense action in the climactic battle. The plan to protect the metas on the list is by putting them all into federal witness protection. Flash must first round them up and get them ready for extraction. Here is where we get some depth from the snake-eyed Norvock. He used to be a decent guy, working in the reptile house at the local zoo. When STAR labs exploded, he saved a child and wound up a freak, thus vowing to never put his own self-interests on the back-burner again. Flash forward to the extraction effort. Naturally, Cicada crashes the party and damages the helicopter so it can’t land. Ralph has to use his powers to lift each meta into the chopper, one by one. Norvock gives up his place at the front of the line to help all the other metas before him, as Barry and Killer Frost stall Cicada. Norvock nearly meets a noble end by Cicada’s flying dagger, but Ralph scoops him up in the nick of time. Frost is able to dampen the dagger’s abilities, granting Barry his powers long enough to lay a serious beating on Cicada. Just as Barry is about to deliver the death blow, a miraculously healed Nora rushes in to stop him. What’s next: With Iris and Cecile’s help, Barry realizes he and Cicada are both motivated by the love for their children. Maybe by curing Cicada’s comatose daughter, it will defuse the villain’s rage. So next week we’re going in, Inception style. Last impressions: The episode had a fair amount of fun. The only downside is that the whole Cicada plot has outstayed its welcome, and there are way more interesting plot threads that are worthy to explore, like Nora’s mysterious relationship with Thawne, and the ramifications of Caitlin discovering a metahuman cure. Optimistically, it feels like with the path they are going, there can’t be more than a handful of Cicada-centric episodes left. But, these Berlanti-verse shows do have an amazing capacity to beat a dead horse (see Diaz, Ricardo over on Arrow). Despite all the action, there was a fair amount of character interaction, particularly with Ralph and Cecile, who are becoming extremely valuable members of the team.